The annual Au Pair Fire Safety Training was hosted by Iselin Chemical Hook and Ladder Volunteer Fire Company on November 19, 2017. They were welcomed to the fire house by Ex-Chief Steven Freeman and Fire Marshall Helge Nordtveit. 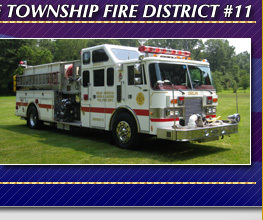 The Class has been hosted by the Fire Company since 2014. Au Pairs attending this year’s class currently reside/work for families in Middlesex and surrounding counties. The Au Pairs this year are from Germany, Mexico, Ireland, Brazil, France and South Africa. They are sponsored by Cultural Care Au Pair. They learned about having 2 ways out, a home escape plan, a meeting place, the need for smoke detectors and carbon monoxide alarms, kitchen fire safety, fire extinguisher use, poison control and use of 911.